Super Hexagon is a game that makes your eyeballs feel like they're being forcibly twisted against your will while still in their sockets. It is a game that makes your brain feel like it's being torn up and stitched back together by a drunken doctor in a back alley. It will even, at times, make you question whether you're enjoying the experience or it's simply the pulsating visuals sending you subliminal messages that trick you into revelry. You will feel your mind bend as you replay levels over and over, experiencing both bliss that you've increased your record by a mere second, and anger that your reaction speed failed to save you from a crushing death. Best of all, you will come away from each play session feeling sharper, and more energized than you did before loading up Super Hexagon. 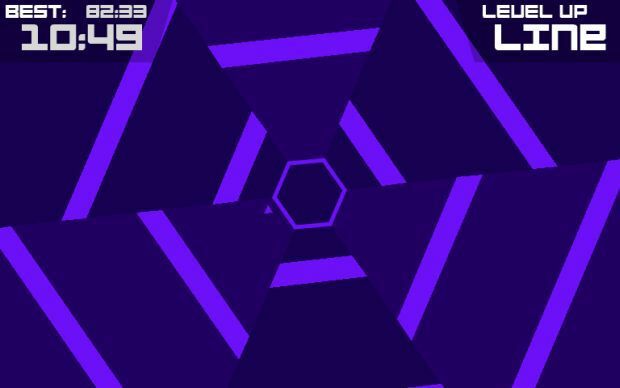 What makes Super Hexagon such an addictive experience is its simplicity. You control a little triangle that's stationed within the center of the screen. Touching the right side of your screen will move the triangle clockwise, and the left side of the screen moves you counter-clockwise. Tapping the screen will move the triangle ever so slightly, while holding down on the screen will see the shape moving at top speeds. Controls are very responsive, and they need to be as walls in the shape of geometric patterns are constantly advancing toward the center of the level. Levels are randomly generated, while specific pattern configurations are repeated at different points with each replay. The overall goal is to last as long as possible without getting crushed between two walls while you're zig-zagging your way through the endless maze. 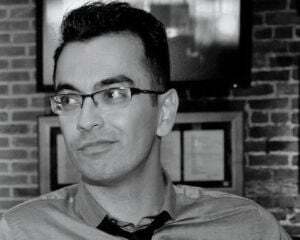 And I'm not joking when I say you might feel pain around your forehead. Shapes will be moving in one way, while the entire level could be spinning in another direction, all while you have to be aware of every potential threat coming at you from every direction. The premise sounds simple enough but I wouldn't doubt it if you hear "Game Over" at least a dozen times before you finally last longer than five seconds. You will die, a lot. The difficulty here isn't in that the game is abusing you, but more that your own abilities are being put to the test. 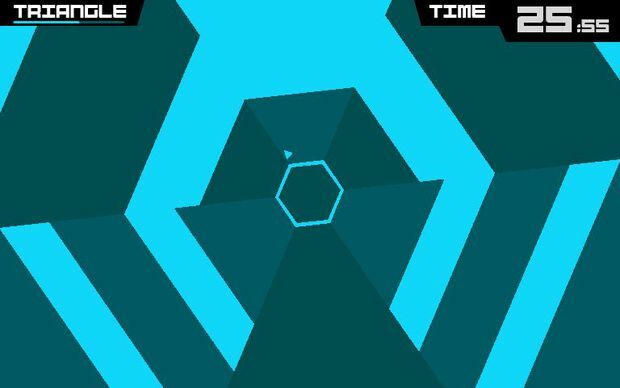 Super Hexagon is about testing your reflexes, reaction speed, memorization, and your instincts, pushing them beyond your self imposed limitations. Colors are constantly changing in the levels, all while the geometric shapes pulse to the wonderful soundtrack by Chipzel. The music picks up at different parts of the track, so you'll get to hear something different instead of restarting from the beginning every time. A big deal in my book, as hearing the same track restart over and over with the retry of a level does get extremely annoying over time in other games. Restarting a level will become norm, as Super Hexagon isn't kidding around. The lowest difficulty is Hard, going up to Harder, then Hardest. While levels are indefinite, you can technically pass each stage if you last for a full minute. Passing the minute mark rewards you by unlocking even higher difficulties, such as Hardester. This level of masochism will make sense to those that have experienced VVVVVV, the breakout hit by Terry Cavanagh. Super Hexagon is Terry's latest creation, which started life as a hastily put together project during a 48-hour game jam. Terry has since expanded on the original Hexagon, creating a far more enjoyable experience for the iOS, with PC, Mac and maybe even Android versions to come down the line. 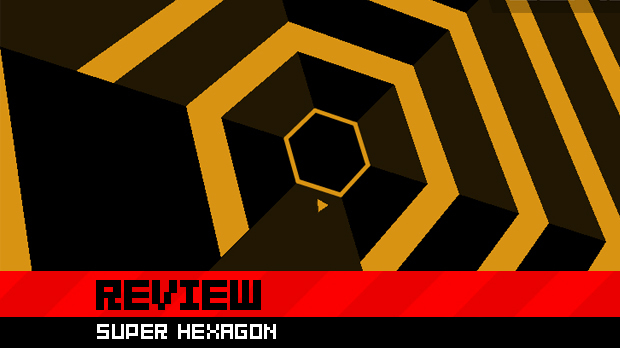 Super Hexagon is a simple, engaging game, perfect for the mobile experience. You'll go in thinking you'll play a short game, but soon find yourself repeating the same level at least a couple of dozen times, quickly jabbing at the screen to restart after cursing loudly from the ridiculous mistake you just made. Each play through is worth it though, as just breaking your own personal record by a second will give you a level of satisfaction you wouldn't expect to feel. Simply put, Super Hexagon is one of the best mobile gaming experiences I've had this year.